Introducing new sonic creations with their heavy ambient and dreamy shoegaze sound the amazing band, Tape Runs Out, release two epic new singles off their debut EP, ‘Covered In Tape’. 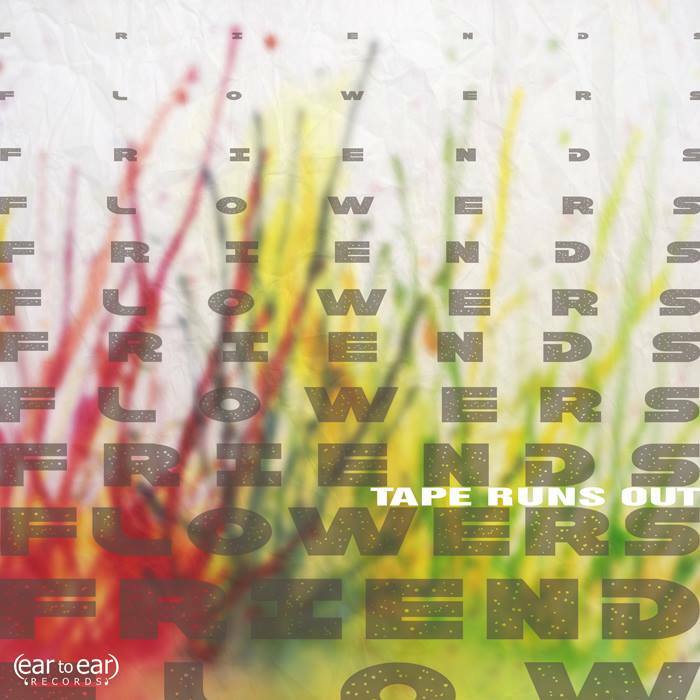 The two new singles, ‘Friends’ and ‘Flowers’, released by Ear To Ear Records give rise to the band’s uncanny ability to intertwine folk-pop written songs and envelop them with dreamy melodic soundscapes, creating mesmerising musical ecstasy. 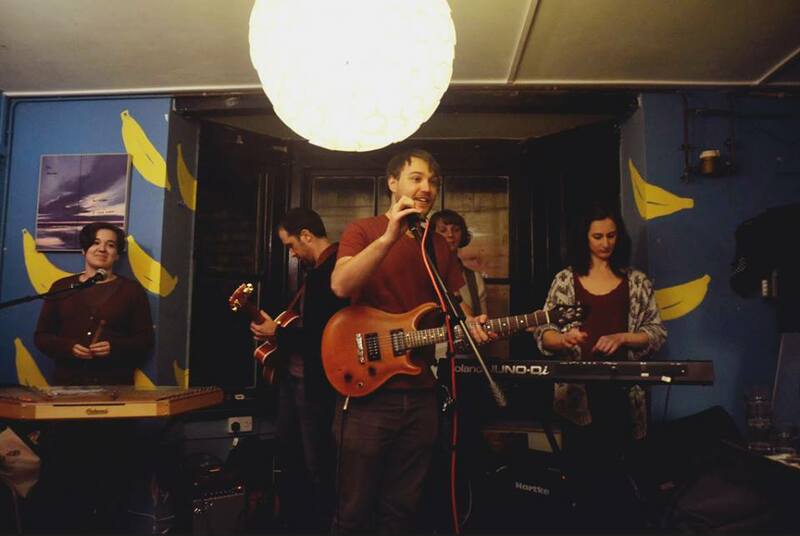 The five piece band out of Cambridge was formed in 2012 and have been playing throughout England receiving great admiration from fans since their debut release of Covered In Tape (2013). The featured song on the EP, ‘Friends’, is an addictive single with catchy melody hooks intertwined with soothing melancholic vocals and upbeat indie rock drums. The song eases in with an ethereal synth sound and then introduces a great melodic hook followed by brilliantly written lyrical lines and softly sung melodic female back up vocals that create the perfect blend of layered melodies on top of the basic foundation of the song. The soft melodic intro builds and then suddenly slams into an upbeat drum beat with the main vocal line and catchy ambient melodies overlapping and contributing to the elaborate layering of the song as it progresses. As the song builds and gains momentum it begins to swell and embellish with the layered melodies and eventually feels like it is going to go back to the main vocal line, but, suddenly halts with the appropriately fitted lyrical line, “I was not your friend”, which abruptly finishes out the song. The song ‘Flowers’ is another single that has great quality and takes a more Shoegaze oriented form filled with spacious ambient sounds and abstract sampling that give the track plenty of depth and a good flowing vibe. The song begins with a dirty sample and slowly introduces a beautiful progression on electric keys, then drifts into a chilled out drumbeat with the main vocals and harmonies creating overlapping layers. The song fades in and out of coherency, similar to a dream, as sometimes it reaches for the more free floating melodic sounds and then returns back to a more structured song form with the drums and the main vocal lines. This track is a favourite of mine as I feel that it is easy to get encompassed by the emotional feel intended for this song like it was meant to put you into some moment in space and time. Tape Runs Out consists of Liam Goodrum-Bell on vocals/guitars/samples, Rich Barker on guitar, Yasmin Prebble on keyboard/melodica/glockenspiel, Ellie Winter on hammered dulcimer/backing vocals, and Helene Dufour on bass. The two great single ‘Friends’ and ‘Flowers’ can be found on their personal website and also found on social media sites such as Facebook, Soundcloud, Bandcamp, and Twitter. Also, check out this great video on You Tube made for their single ‘Friends’.